Tirthan Valley which gets its name from Tirthan River is most attractive tourist spot near Kullu. The Lake here gets the water from Tirthan River. 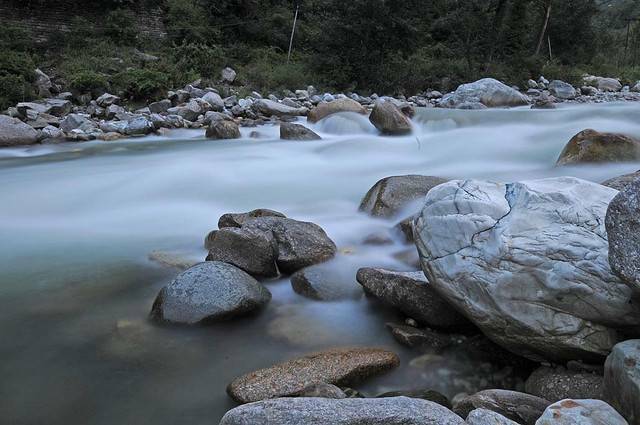 The Tirthan River is a perennial river which flows from great Himalayan with clear glaciers and waters. Tirthan Valley also serves as a base camp for trekkers from where they can start the trekking. Trout fish is very abundant in Tirthan lake and thus providing memorable time for Anglers. The route which winds up to Tirthan valley passes through many beautiful farms, forests and lazy hamlets. Himalayan Trout House here is a perfect place to meet tourists, Trekkers, Anglers etc. Camping can be organized by this House on the Tirthan River Banks. This valley is the starting zone for trekkers to start their trekking in nearby Great Himalayan national Park. Tirthan valley OR Trout Valley is one of the most secluded valleys in Himachal . The valleys falls in eco zone of Great Himalayan National Park .